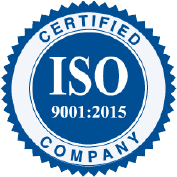 Providing the Highest Quality Electric Motor Coils Since 1982. Industrial Coil is a family owned and operated business. We manufacturer high voltage electric motor coils, stator coils, generator coils, DC field coils, armature coils, and rotor coils. We offer a one-year guarantee for all of our products. 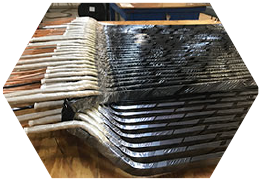 Only the best materials go into our products and we can fit them to any of your specifications. Quotes in as little as 15 minutes. At Industrial Coil, we gladly offer a Hot Shot service 24/7! All stators coils are surged tested and checked for fit before shipping. We meet nuclear specifications as well. 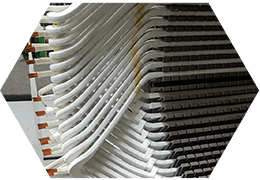 Our team of experienced owners, managers, and coil technicians have a combined experience of over 200 years in the form coil industry. 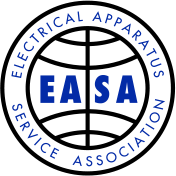 Proud EASA member since 1985. In our 2018 Customer Satisfaction Survey, we received an Overall Rating of Excellent and 100% On Time Delivery Rating. We can match your specifications. We have winding data of thousands of different motors. Quotes in as little as 15 minutes. We provide 24/7 Customer Service. Our staff is on call 24/7. 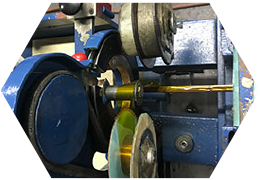 In-house capabilities for special wrapping - Mica and Kapton turn taping. 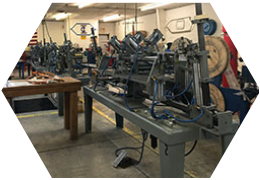 We manufacture stator coils for A.C. motors and generators up to 7200 volts. 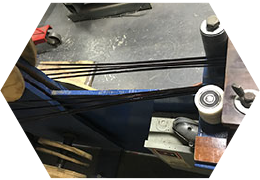 We manufacture the highest quality electric motor rewind armature coils. 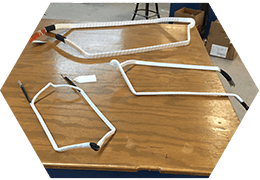 Our rotor coils can be tailored to fit your specifications. 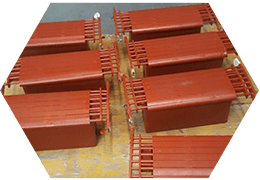 We have the knowledge to manufacture the pole pieces you need to keep your motors running properly. 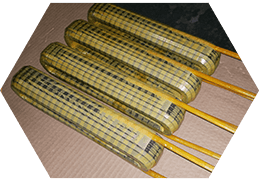 We manufacture several DC field coils to fulfill any job.